As the summer ends, friendship begins...When single mom Joy Lee abandoned her old life to take a job at a lakeside resort, she found something that her family's wealth and influence could never buy: peace of mind. Not easy to come by for the once-burned divorc e who keeps everyone at a distance. But when her new friend, Maris, dares her to take a chance with the drive-in's charismatic new owner, everything changes for Joy and her young son.A difficult childhood has left Maris Kennedy with definite priorities. Her job running Summer's End, the camp store and caf , comes first. Always. Nothing could ever make her risk that hard-won security--especially not her free-spirited colleague. But the more she encourages Joy to open herself up to new experiences, the more Maris begins to wonder what she, too, might be missing.Learning how to trust will bring Joy and Maris together. 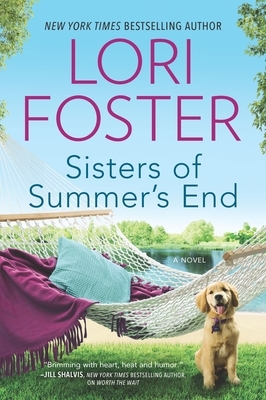 And soon they form a friendship that leaves them as close as sisters--and open to love where they least expect it...in Summer's End.